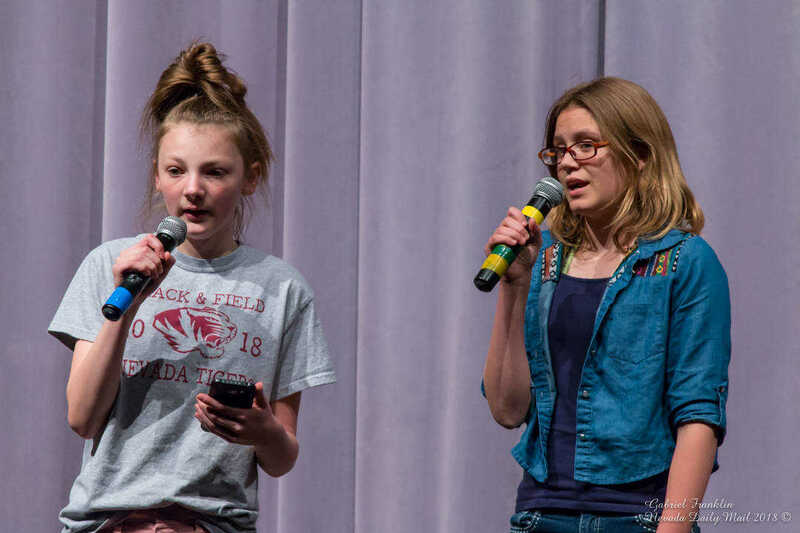 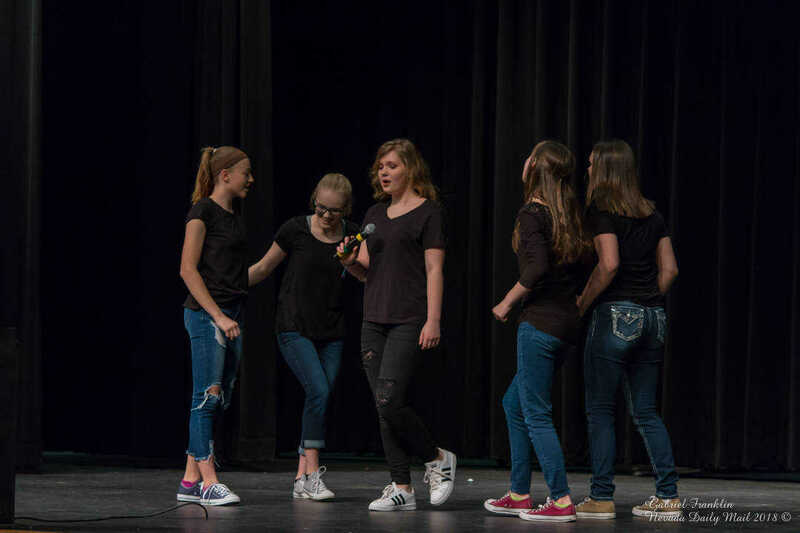 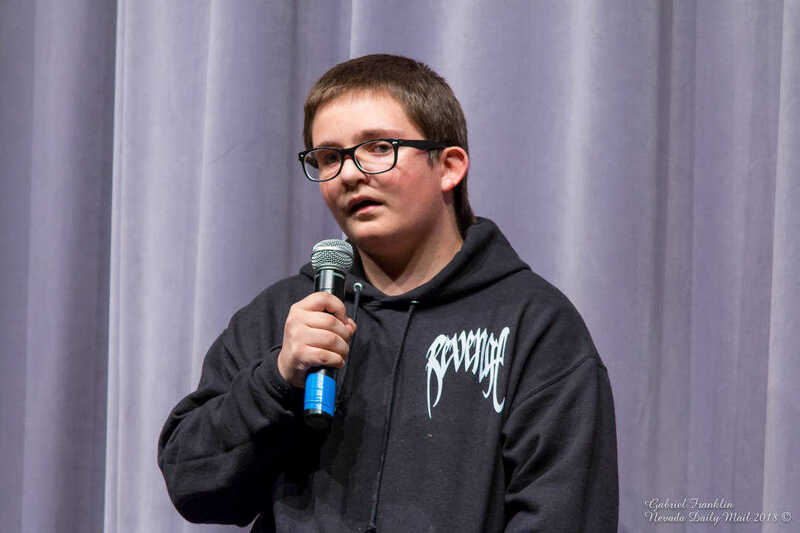 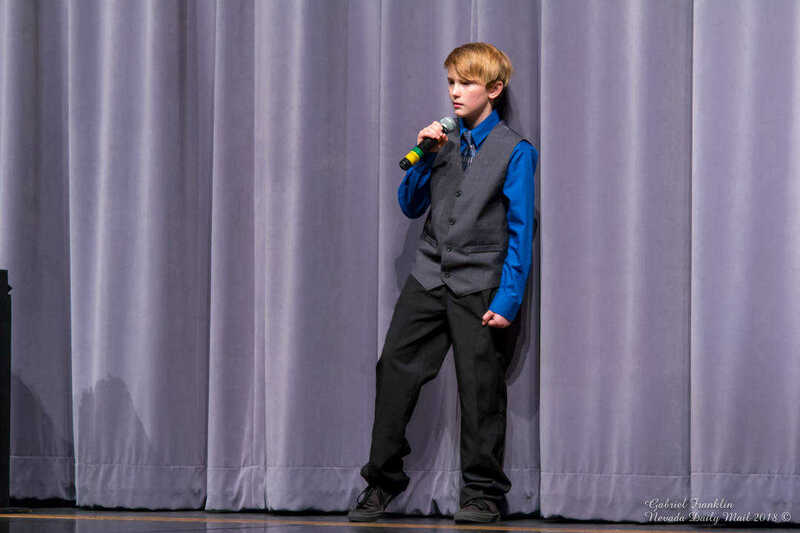 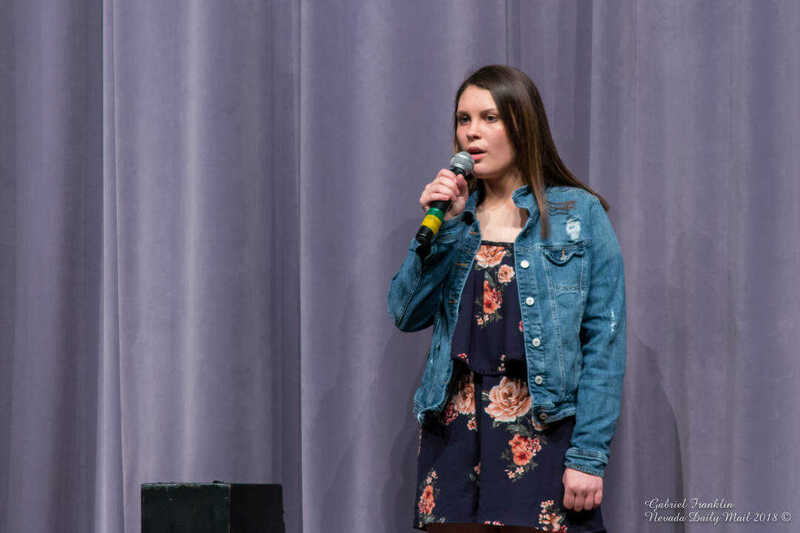 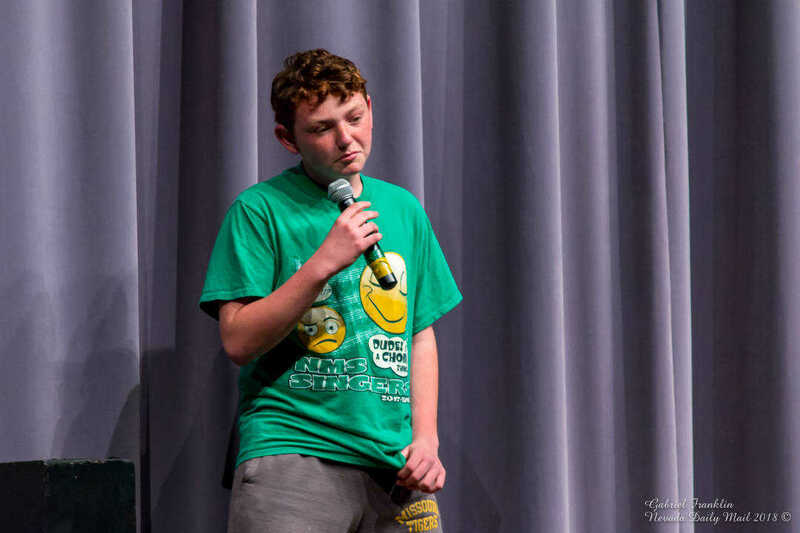 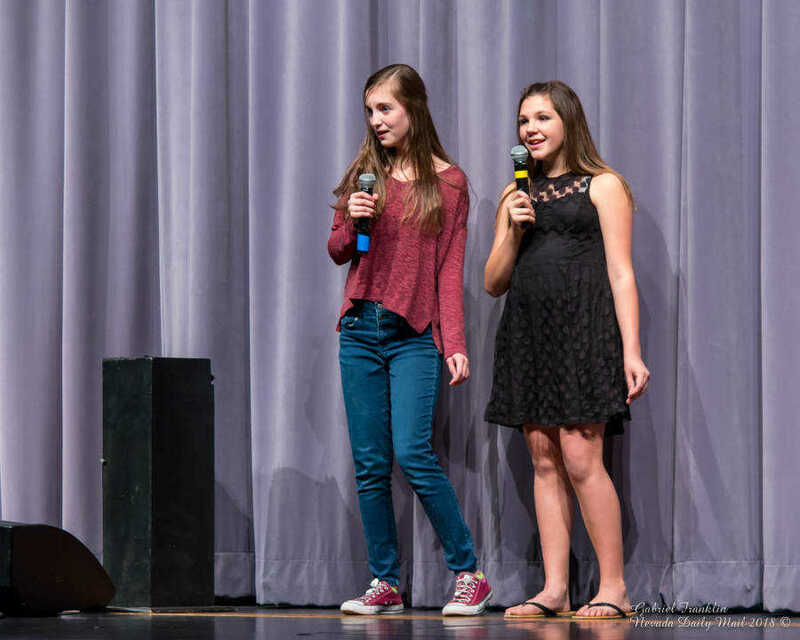 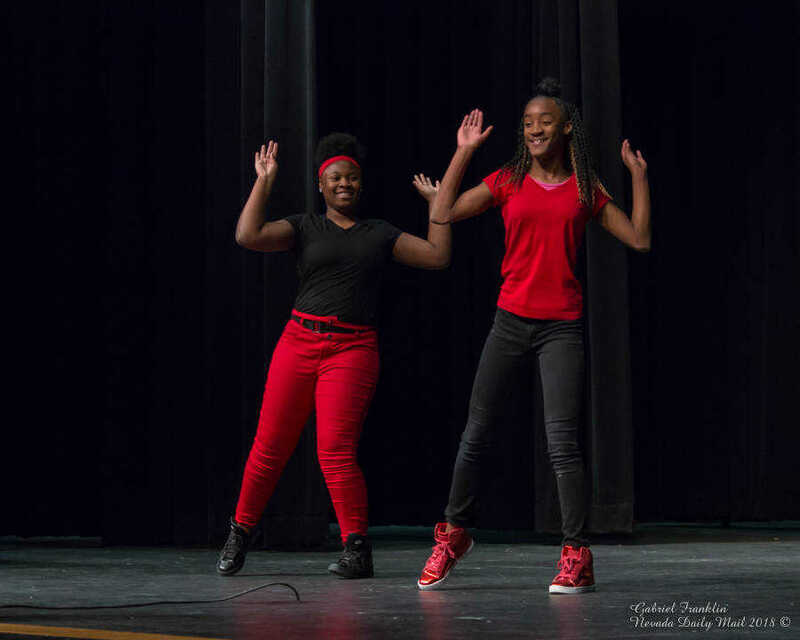 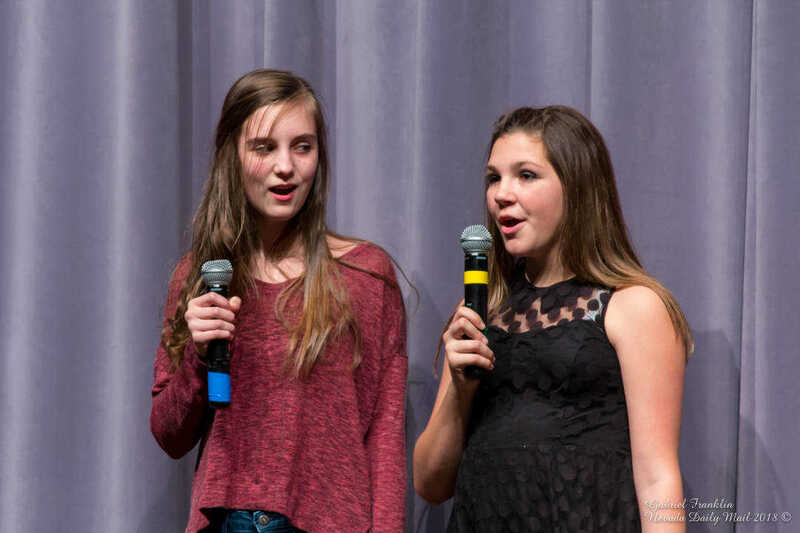 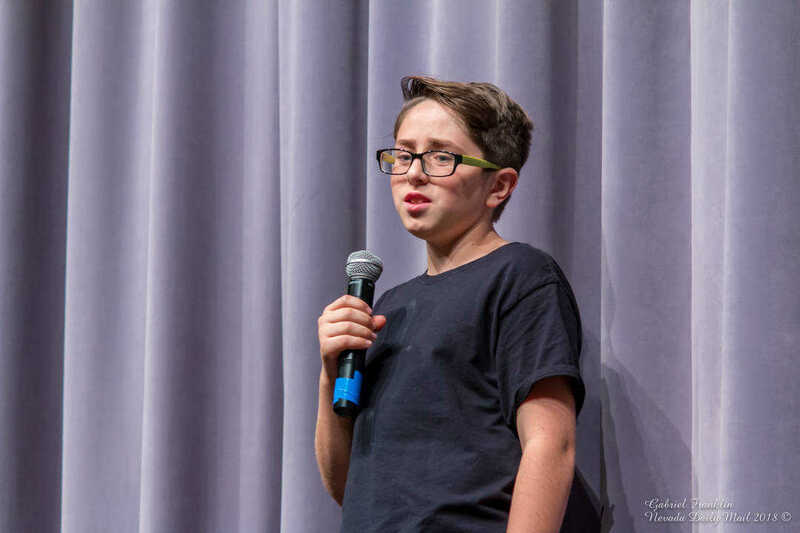 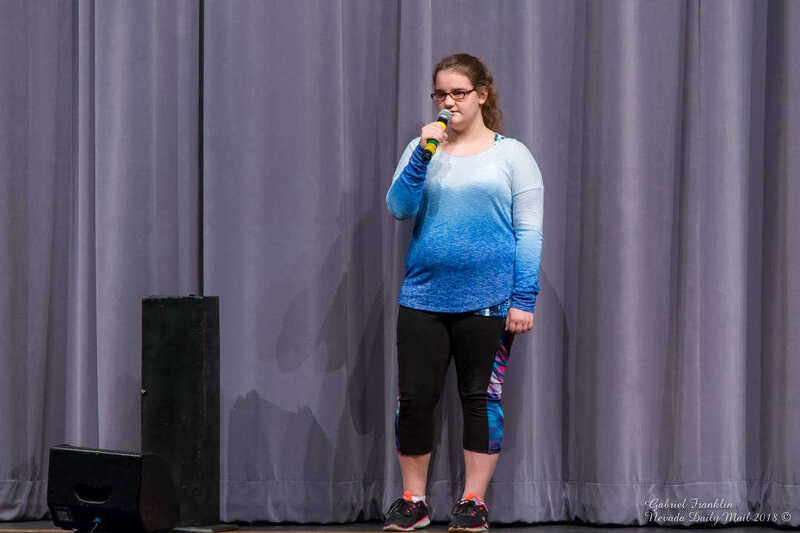 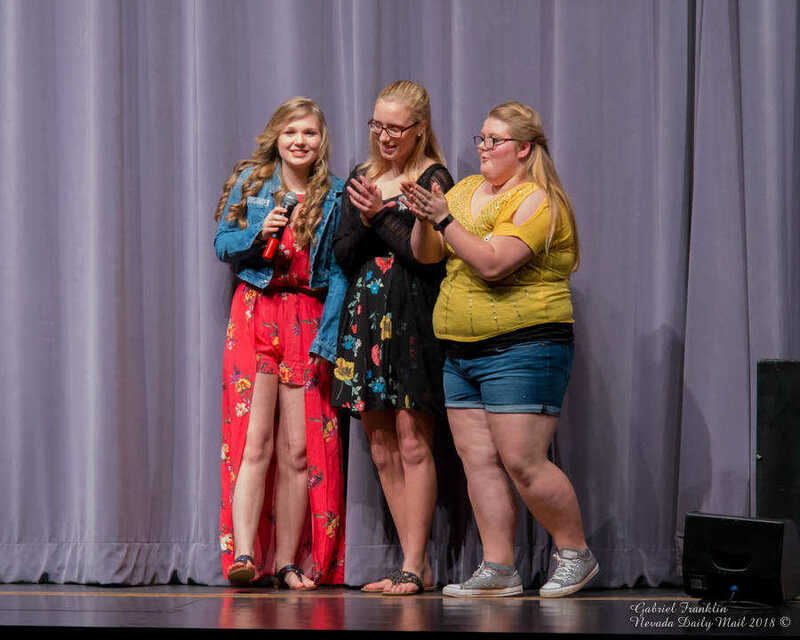 Dakota May and Ashlynd Taylor sing Titanium by Sia at Nevada Middle School's Spring Talent Show Monday evening at the Ella Maxwell Performing Arts Center. 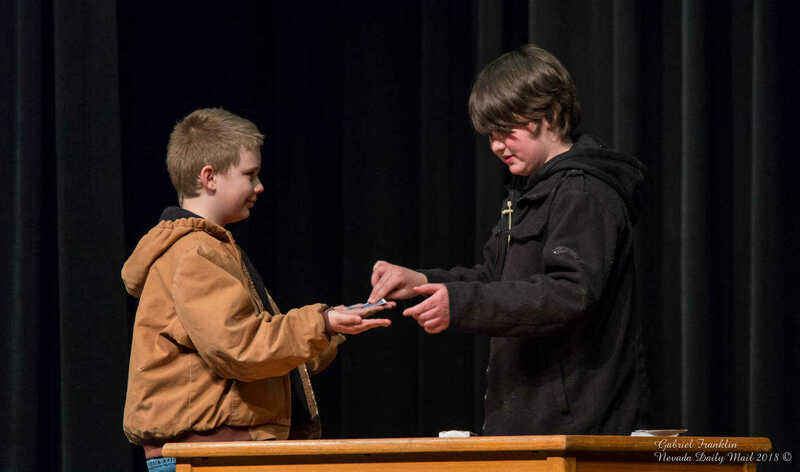 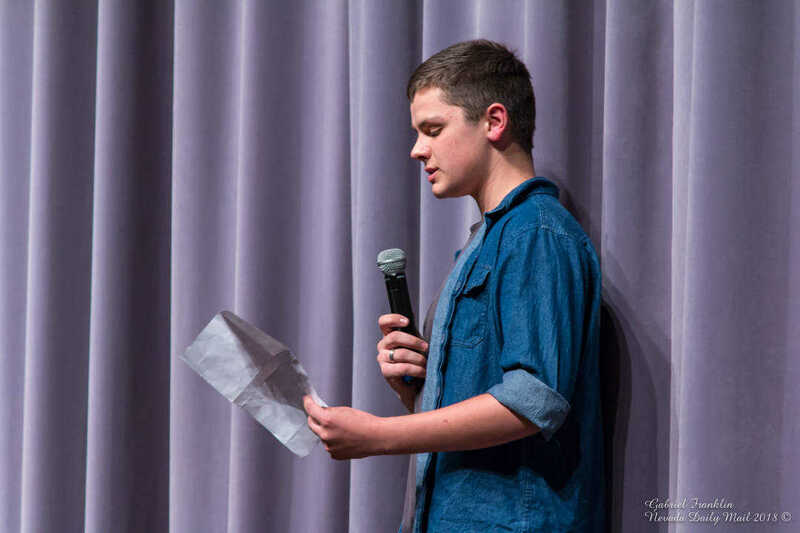 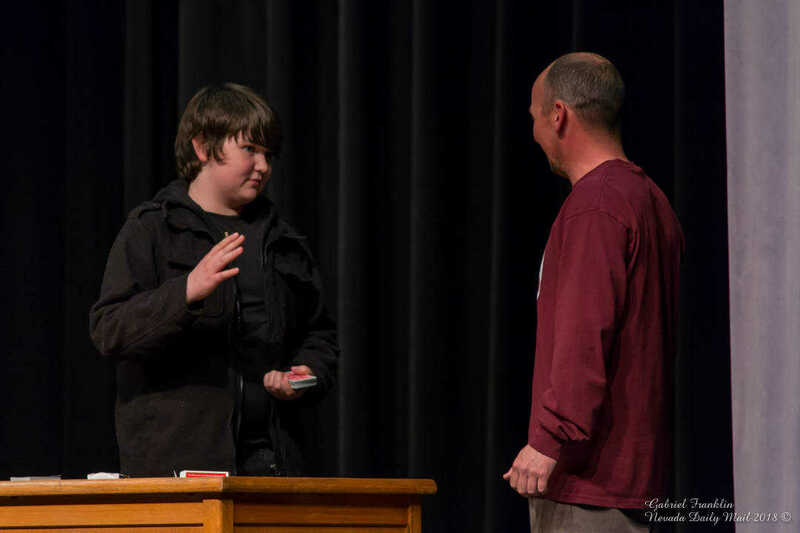 Liam McGrath, left, enlists assistant principal Chris Holcomb to help with a card trick at Nevada Middle School's Spring Talent Show Monday evening at the Ella Maxwell Performing Arts Center. 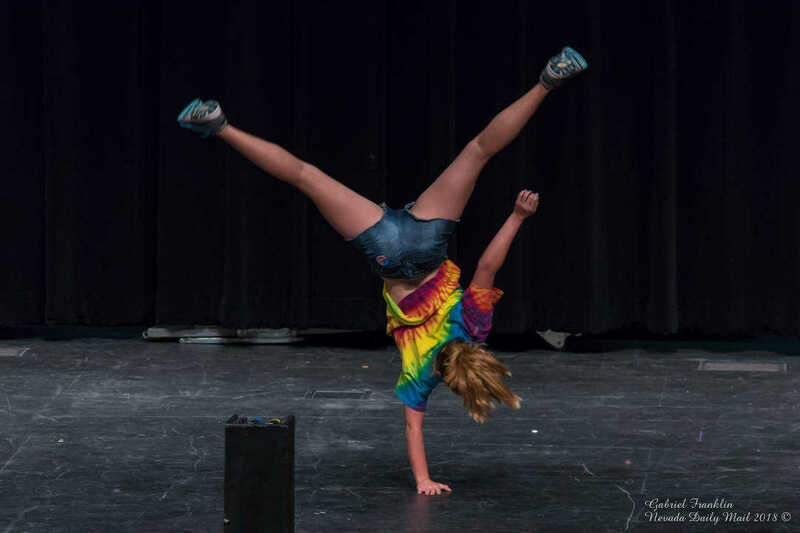 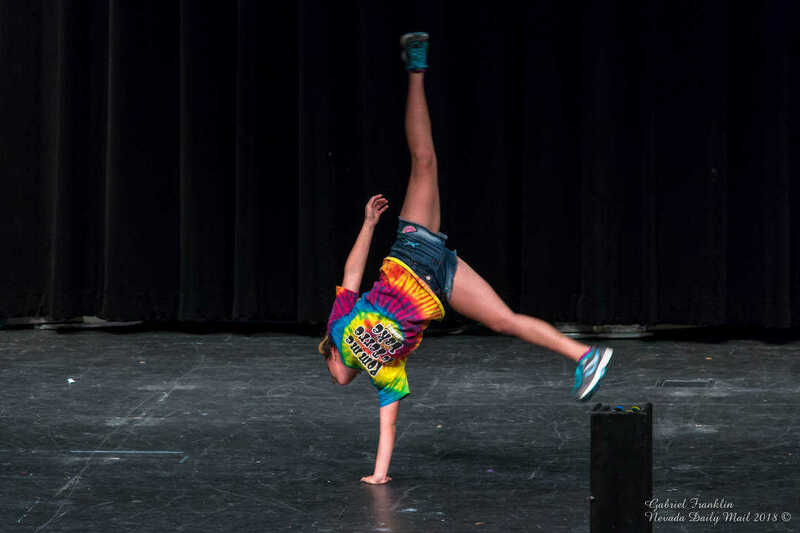 Angel Gardiner performs a gymnastics routine to Shine by Mack Z at Nevada Middle School's Spring Talent Show Monday evening at the Ella Maxwell Performing Arts Center. 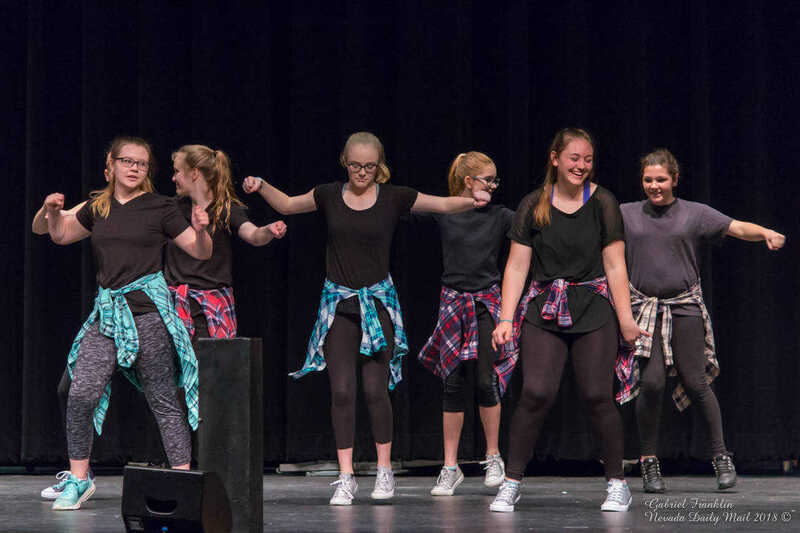 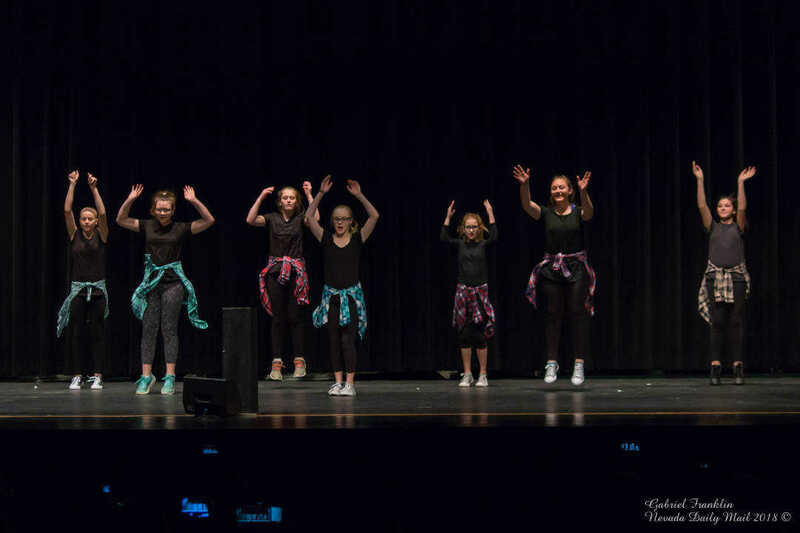 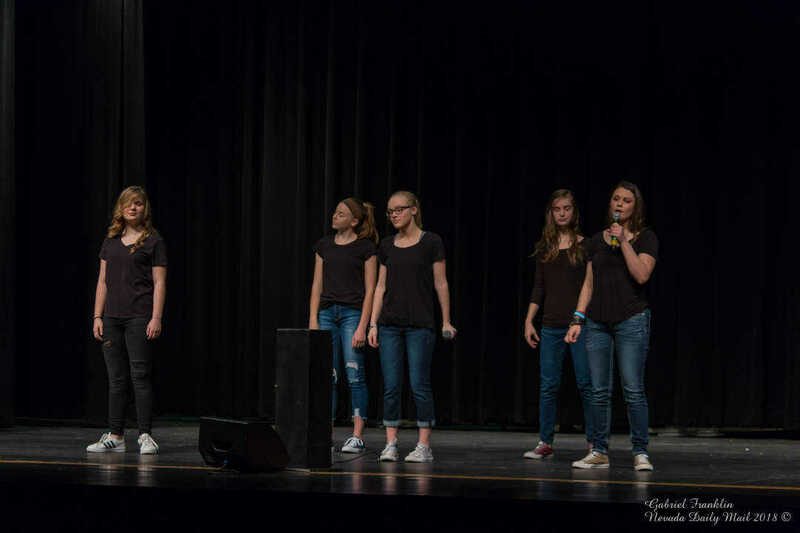 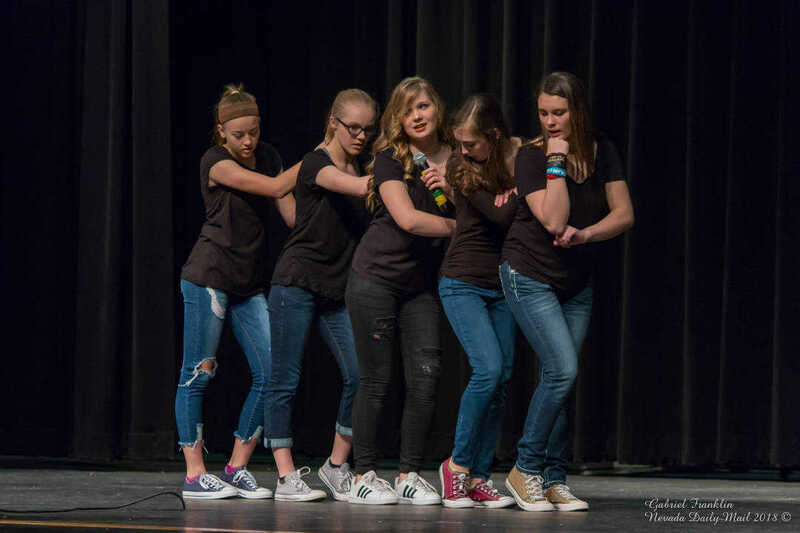 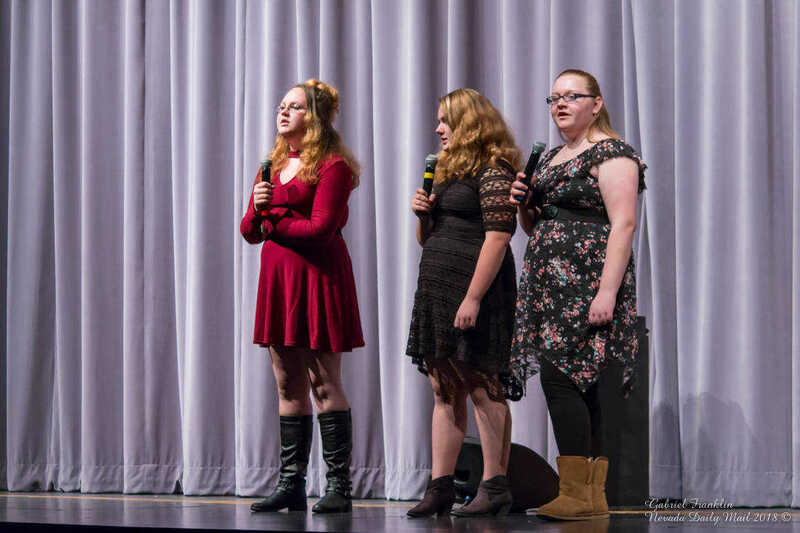 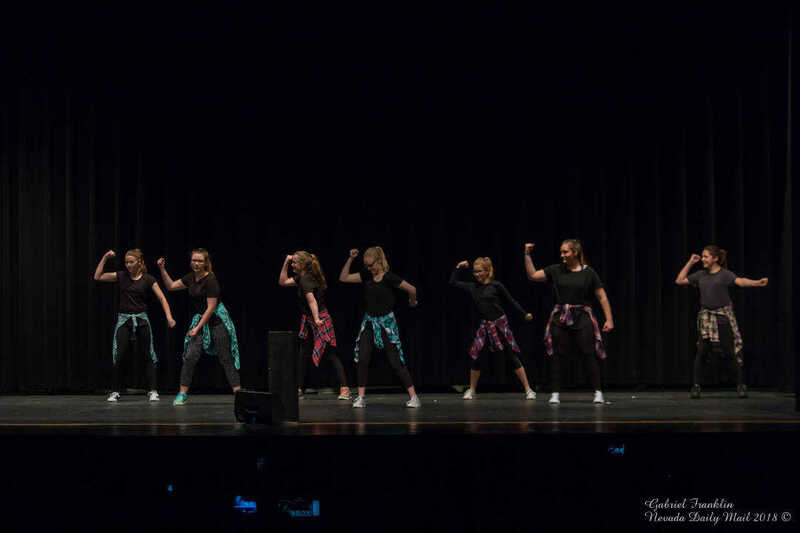 Laura Kimel, Abbi Baldwin, Trinity Davis, Dakota May and Kaigan Lewis recreate the Finals performance of the Bellas in Pitch Perfect. 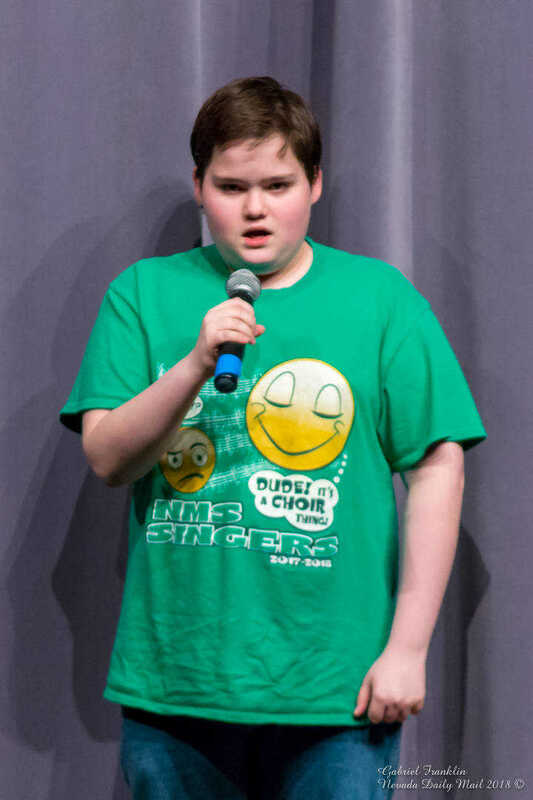 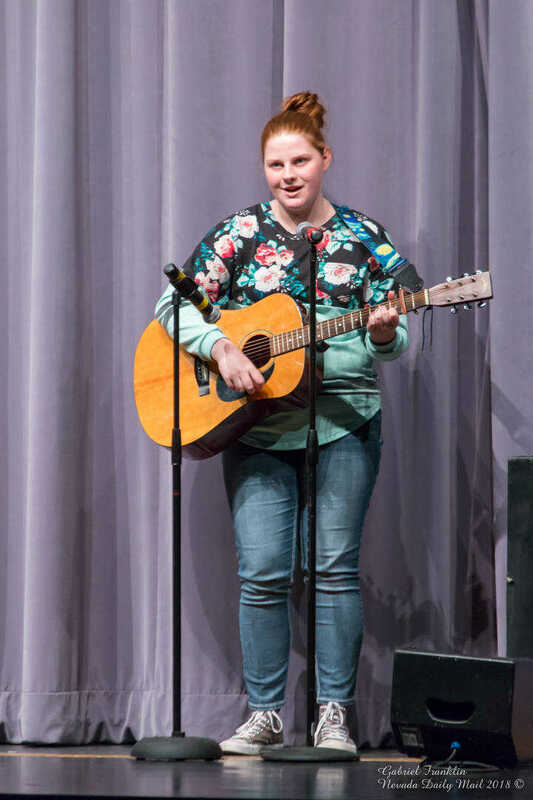 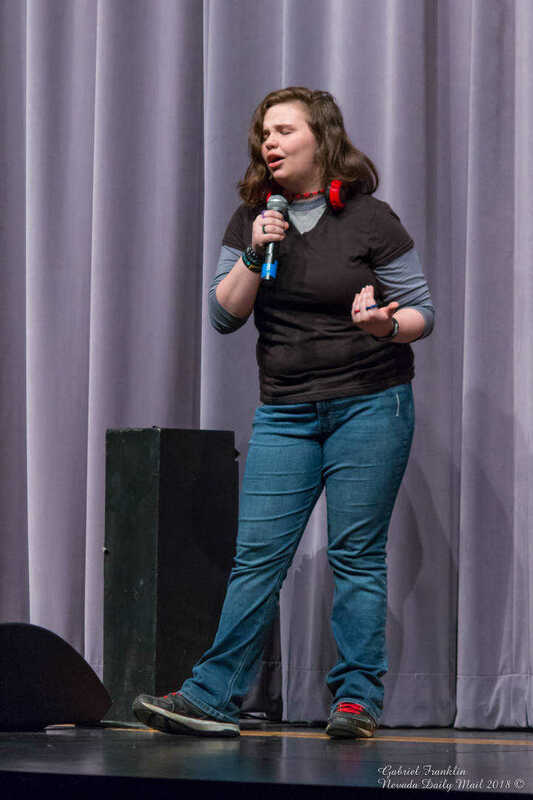 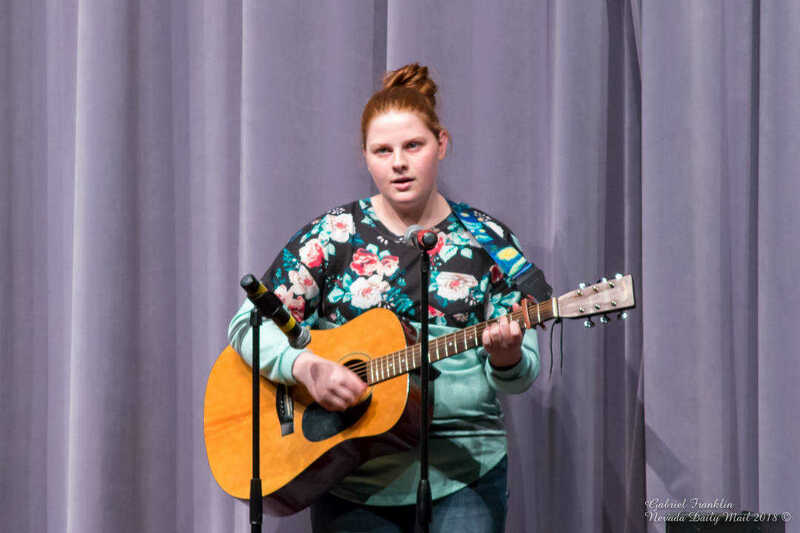 Alexzia Tummons sings The Last of the Real Ones by Fallout Boy at Nevada Middle School's Spring Talent Show Monday evening at the Ella Maxwell Performing Arts Center.